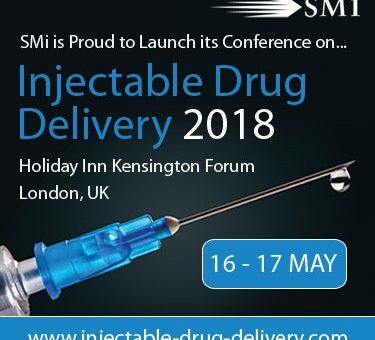 The launch of Injectable Drug Delivery will take place on the 16th – 17th May 2018, in London, UK. Hear from Sanofi as they will be presenting: Advancements of Fill & Finish Process, on day 1. Biopharmaceutical manufacturers are under increasing pressure from regulators to ensure the safety and quality of their products. Protein aggregation presents a key challenge in the development of biologic formulations as it can have an impact on product quality in terms of efficacy and immunogenicity. Proteins have a natural propensity to aggregate due to the dynamic nature of their structure, which is held together by a combination of Van der Waals forces, hydrogen bonds, disulfide linkages, and hydrophobic interactions. Jean-René Authelin, Global Head, Pharmaceutical Engineering, Sanofi will be presenting the Keynote Address: ‘Protein Aggregation and Oxidation During Processing’ on Day 1 @13:20. Fill-finish processing comes after upstream bioprocessing, formation of the active agent by cell culture or fermentation, and downstream purification; this is when the final product has the greatest value, and, thus, the most to lose to a product failure. So at these later stages of development, tried-and-true processes tend to be what’s used. Innovation can introduce elements of risk, expense and regulatory work into bioprocess operations. This includes the formulation, mixing or other preparation of the active agent into its final form, e.g., liquid or lyophilized powder, and filling and sealing within final containers, which increasingly include prefilled syringes and other delivery systems. – Basic data acquisition focusing on the main physical chemistry properties of the drug product. – Preliminary calculations of process parameters based on prior knowledge using simulation tools in order to anticipate process parameters of freezing, thawing, mixing, filtration and filling parameters. – Set-up of Design space using Lab scale tests for each operation units in order to fine tune the calculation results.